Some old pictures from the Red Spider Lily festival I went to a few weeks ago (in Japanese, the 彼岸花). I didn't take that many pictures by my standards, but enough. 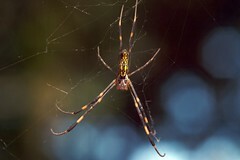 Is it strange that I go to a flower festival and mainly end up taking pictures of spiders?